You don't have to be a prince to get baptised! 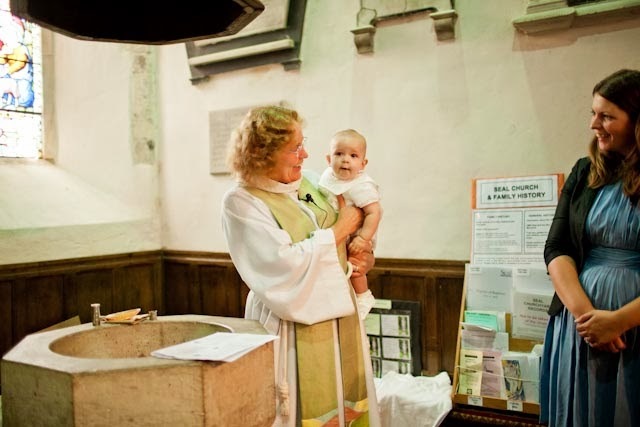 Here's a short video from the Archbishop of Canterbury, on the baptism of Prince George. 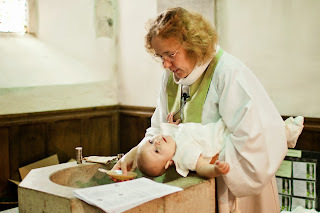 In case you are wondering about baptism for yourself or your children at Seal, as Archbishop Justin says, the answer is YES! Baptism is entirely free of charge, and I am very happy to arrange it for a time and date that works for you if it is at all possible. 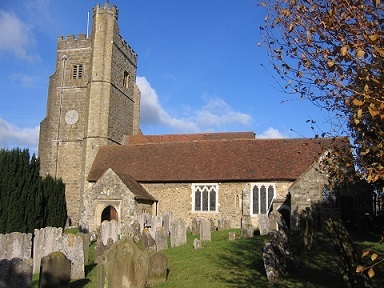 If you don't live in the parish of Seal then we may need to talk to the parish priest where you do live to get their goodwill, but there are rarely any problems about this. 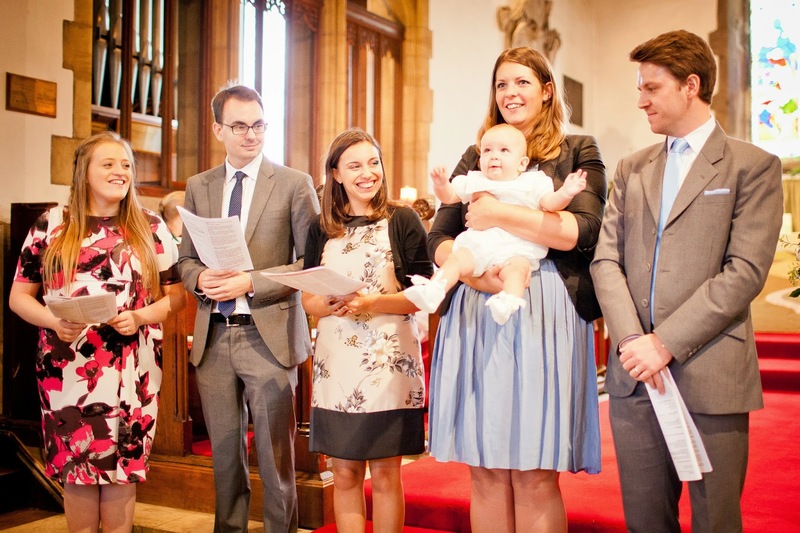 Older children and adults can also be baptised, and we can even combine a baptism with a wedding if that is appropriate for you! To get the ball rolling, just get in touch with me and I will be happy to help. Below you will find pictures of a recent baptism at Seal - many thanks to Seth's parents for permission to share these photos of the happy day! 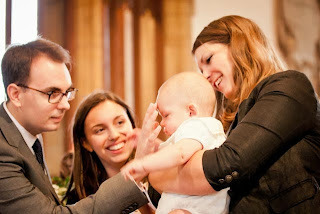 After the priest has made the sign of the cross on the baby's forehead the parents and godparents are invited to do the same. We use specially blessed oil for this - anointing with oil was done at the time of Jesus as a symbol of welcome and a preparation for washing. 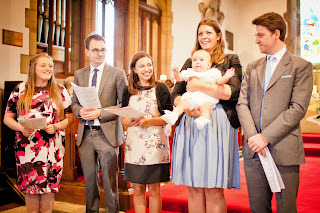 The congregation are always delighted to greet their newest "brother" or "sister" in the Christian family. 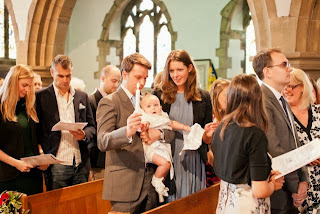 At the end of the service we give the family a candle to take away, a symbol of the light of God which burns in their child. 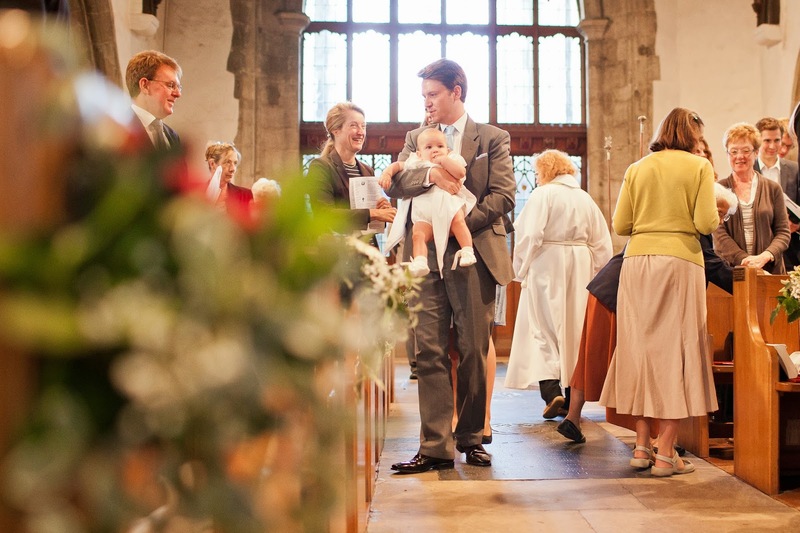 The November issue of the Church of England's "In Review" newsletter is here. Autumn days are with us and harvest is here. Use our seasonal prayers to give thanks for this year's ample apple offering. This Autumn also sees us continue to put an end to violence against women as we take part in 16 Days of Activism. Get involved today. Get involved for 16 DaysMothers' Union tackles violence against women and girls by challenging attitudes, supporting those affected, calling for prevention, and campaigning for change. Get involved, and use our pack as we prepare to take part in 16 Days of Activism Against Gender Violence. Download our latest article Mothers' Union members continue their work in the heart of communities across the world. This month we focus on the work of Coordinator Noeline and members in Madagascar. Read the article today and download a copy to share with your friends and church. Support our fundraisers.Rita Pengelly is running the Royal Parks Half Marathon on 6th October and on October 13th a number of dedicated members will be braving a 55m-tall zip wire to raise funds for Mothers' Union. Support them online. Ending Violence Against WomenIt's estimated that in some countries up to 71% of women experience violence. In the UK 45% women have experienced at least one incident of inter-personal violence. Read our Feb 2013 article from Families First and find out what Mothers' Union is doing in the bid to end VAWG. Sign up to our blog﻿Subscribe to Mothers' Union's blog to get regular updates on our work across the world. Keep abreast of issues affecting families at all levels of political life. Visit our online shop, which is full of Christmas gifts, jewelry and cards for all occasions. Profits from the shop help to fund Mothers' Union projects across the world. Join Mothers' Union members across the world in prayer everyday with October's Midday Prayers. Our Twitter followers are growing, join in on the action by following us today. 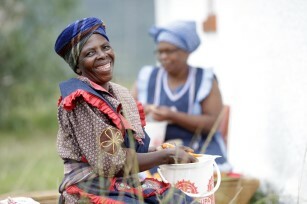 Mothers' Union is a worldwide fellowship of members who make a difference in their communities. Read more and join today. 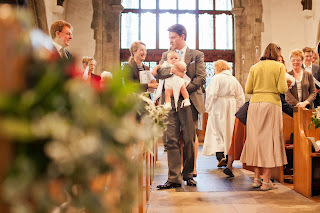 Keep in touch with Mothers' Union online through Facebook. Reach out with other members to offer Christian care to families in your community. Read more.